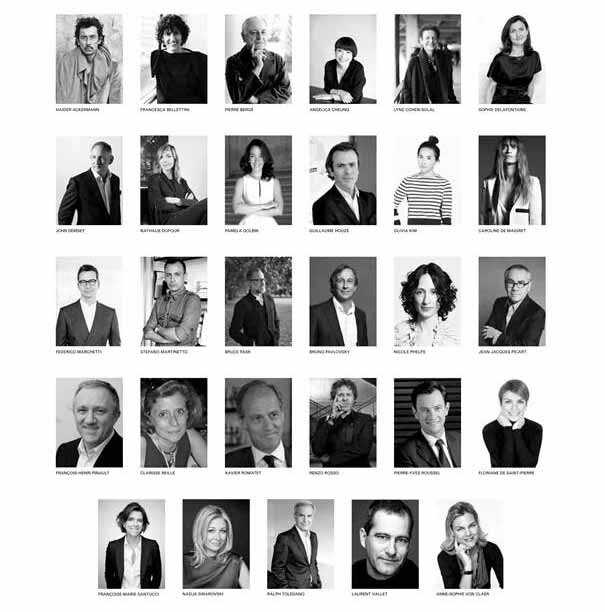 PARIS, Mar 23, 2015/ — One of the most prestigious fashion award in the world, ANDAM announced the members of the 2015 jury who will judge this year’s winners. ANDAM’s jury gathers each year its sponsors and institutional partners with also fashion professionals. Thanks to their outstanding expertise, ANDAM finalists and winners will received a privileged support in order to develop their company in France and worldwide. Founded in 1989 under the initiative of the French Ministry of Culture and the DEFI, ANDAM is dedicated to support young designers and reinforce Paris influence, as the world fashion capital. With Pierre Bergé as President, ANDAM brings together institutional and private players of this cultural industry to develop coordinated strategic and transversal actions. The 2015 ANDAM finalists nominated by the jury will be announced May 18 2015. On the 3rd of July, finalists will present their work to jury members, who will choose the 2015 winners according to their creative vision and their business plan. Akris Fall 2015: It’s all about the jacket!